…being an excellent cook, you have invented and prepared sauces that make your compatriots lick their fingers; that, using your pen as well as your brush, you have written songs and plays that have been applauded in the minor theaters of Paris; that, following the example of Molière, and having, like him, an extraordinary talent as an actor, you have played your own productions at the club and in artistic salons; then, having a passion for building, and trying your hand at all the trades, you are not only your own architect, but do not disdain occasionally to work in iron, like Louis XVI., or in wood, like the good St. Joseph; and finally that, in decorating your house, you have distinguished yourself as an upholsterer. In the last particular, you may even say that you surpass Molière, or he, although the son of an upholsterer, was not himself one. Besides shamelessly admitting to self-glorification, Vibert also shows that he is a man with diverse talents and interests and a witty personality - qualities that would later shape his satirical works, leading to his depiction of incendiary scenes that in earlier times would have had him imprisoned. 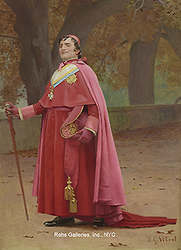 Jehan (or Jean) Georges Vibert was born in Paris September 30, 1840. His maternal grandfather was the celebrated engraver Jean-Pierre-Marie Jazet and his paternal grandfather, Jean-Pierre Vibert was an important botanist who perfected new species of roses, one of which he named after Jehan-Georges. As a young man Vibert was a mediocre student, “more assiduous in drawing pictures of people in [his] copy-books than in paying attention to [his] master’s lessons.” (Vibert, The Century Magazine, 1895, pg. 79) Just as many other artists, Vibert’s diligence did not extend to his studies. Vibert knew from early on that he was destined to be an artist. He began his artistic training with his grandfather, Jazet, and executed engravings. But he soon realized that his inspiration lay in painting and entered the studio of Félix-Joseph Barrias and eventually the École des Beaux-Arts when he was sixteen. Barrias was a serious teacher but also encouraged young artists to develop their own style, forcing them to focus on drawing before executing any paintings. During his studies Vibert was an active participant in the many competitions that were held among the students, finally earning first place in one. He later was under the tutelage of Francois-Édouard Picot and remained at the École for six years of study, perfecting his technique. Around 1860 he came into contact with a young Spanish artist by the name of Eduardo Zamacois while they were both in Paris. Perhaps under his influence, Vibert traveled several times to Spain; his earliest trip was around 1860-61. From these journeys he collected Spanish clothing and objects which he later used to create authentic settings for his compositions. For a period during and after these trips he became intrigued by everything Spanish and executed a number of compositions such as Viendra-t-Il? (Will he Come?) or the earlier Toreros Priant Avant d’Entrer dans l’Arène (Toreros at Prayer before Entering the Arena). The friendship between the two young men remained steadfast; they worked together on their 1866 Salon entry entitled Entrée des Toreros (Entrance of the Toreros). For two artists to work collectively on a composition submitted to the Salon must have been unusual. Prior to this collaboration and after his first visits to Spain, Vibert debuted at the Salon of 1863 with two genre compositions, La Sieste (The Siesta) and Repentir (Repentance). His early works show the influence of his master Picot, and in 1864 he was given a medal for Narcisse Changé en Fleur, Insouciance (Narcissus Transformed into a Flower). He also received a medal in 1867 and 1868. Not being able to bring the amateurs to his doors, he resolved to follow their tastes, and in 1867 he boarded the “genre” as bravely as he had the “grand style,” and with much more tangible success. …you can’t deny that the priests who began my education recognized in me elocutionary talents, because they planned to make a preacher of me. Yes; I advise you to speak of the priests! You have profited handsomely by their teachings! They, at any rate, cannot be ignorant of your lively satire; you have made them feel the point of it enough. Haven’t you always said that a painter should paint only what he sees? It is not my fault if I have seen them at such close quarters. It is this cynical humor that fueled Vibert’s desire to concentrate so seriously on these depictions. Vibert was also a traveler to the East like many of the Orientalists of this period, such as Eugène Fromentin. With them he shared an interest in ethnography and the rendering of every detail with equal care. He returned to France from these journeys just before the outbreak of the Franco-Prussian war in 1870. During the war of 1870-71, Vibert took an active role and became a “sharpshooter” and was wounded at the battle of Malmaison in October of 1870. He was awarded the Légion d’Honneur and became a Chevalier de la Légion d’Honneur in recognition of his sacrifice. Upon recovering from his war wounds, Vibert became a fairly prolific playwright and staged many productions, in which he himself was also an actor. Many of these poked fun at the major establishments, such as the “Le Médecin Malade”. 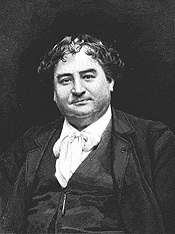 Others include “La Tribune Mécanique” performed at the Palais Royal in 1862, and “Les Chapeaux Conference” of 1874, “Le Verglas” of 1876, and an operetta “Chanteuse par Amours” presented at the Variétés in 1877. He also wrote a number of stories for the American publication The Century Magazine. Many of his writings were based on scenes from his paintings, or vice versa. This was also a convenient way to advertise his works to a larger audience. Vibert proved to be an incredibly busy man, taking on not only painting, but writing as well. Additionally, he was also interested in watercolors and in 1878 he formalized, along with Louis Leloir, Jules Worms, Étienne-Prosper Berne-Bellecour, and Zamacois the Société des Aquarellistes Français, of which he became the first president. C.H. Stranahan (A History of French Painting, New York: Charles Scribner’s Sons, 1888, pg. 349) wrote that “This society bears an important relation to the art of the time, as it established a higher standard of execution than the Salon: at the same time the Impressionists were condemning that as being too severe.” Vibert was devoted to the acceptance of the medium and he “…devoted his full scientific abilities to the watercolor medium to achieve a more brilliant effect.” (Zafran, 16) He also prepared his own colors and varnishes after “having studied closely the chemis try of colors…” (The Century, pg. 79) and completed a book on the science of painting called La Science de la Peinture (1891). Vibert also took part in the 1878 Exposition Universelle where he was represented by six watercolors and seven oils and was awarded a third-class medal for his entries. After some years, during which the artist, then entirely unknown, was trying to make his way, he met with his first success, and from that day on his life has been like that of other artist. He has had medals, crosses, honors. He has painted, he paints, and he will paint as long as God shall let him. With regard to his works, which are everywhere, they must speak for themselves; and as for saying which the artist prefers, we never shall. A father loves all his children, though he may be seldom satisfied with them. The Cardinal's Friendly Chat - New Orleans Museum of Art, New Orleans, LA. The Naturalists - The Corcoran Gallery of Art, Washington, D.C.